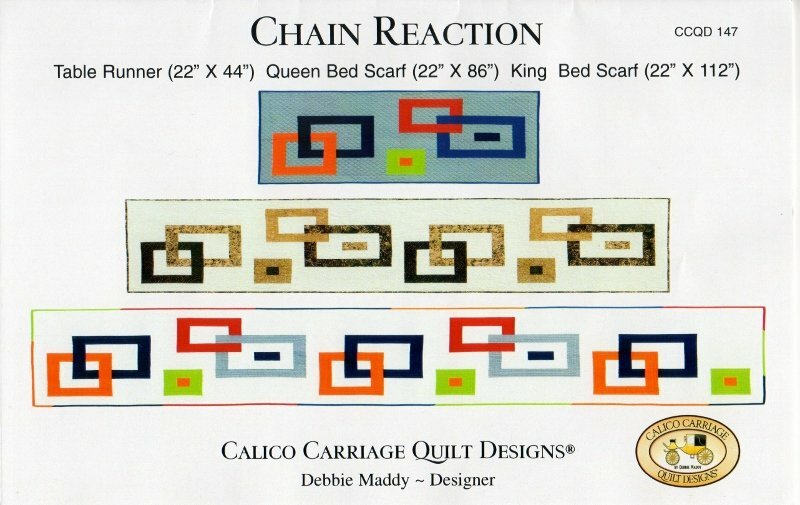 Modern design from Debbie Maddy at Calico Carriage Quilts! You'll love the ease with which this table runner or bed scarf goes together. Need a quick-to-make hostess gift, or just want a quick-change design for your queen or king size bed? Chain Reaction can fill that need. 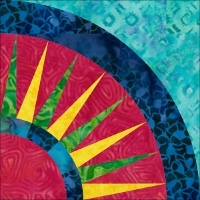 As with all Debbie's patterns, she turns a quilt that looks extremely difficult into something very easy. As soon as we can get a couple of samples done, we'll add kits to your options here. In the meantime, you can call us at 877.871.1713 and we'd be thrilled to put together a custom kit for you, in the colors you need! OR, order the size kit you want and mention in the "comments" section as you check out what colors you want (e.g., background color and "chain" colors).